The main treaty was opened for signature on December 1, 1959, and officially entered into force on June 23, 1961. The original signatories were the 12 countries active in Antarctica during the International Geophysical Year (IGY) of 1957–58. The twelve countries that had significant interests in Antarctica at the time were: Argentina, Australia, Belgium, Chile, France, Japan, New Zealand, Norway, South Africa, the Soviet Union, the United Kingdom, and the United States. These countries had established over 55 Antarctic stations for the IGY. The treaty was a diplomatic expression of the operational and scientific co-operation that had been achieved "on the ice". The provisions of the present treaty shall apply to the area south of 60 degree South Latitude, including all ice shelves, but nothing in the present treaty shall prejudice or in any way affect the rights, or the exercise of the rights, of any State under international law with regard to the high seas within that area. Articles XII, XIII, XIV – Deal with upholding, interpreting, and amending the treaty among involved nations. The main objective of the ATS is to ensure in the interests of all humankind that Antarctica shall continue forever to be used exclusively for peaceful purposes and shall not become the scene or object of international discord . Pursuant to Article 1, the treaty forbids any measures of a military nature , but not the presence of military personnel or equipment for the purposes of scientific research. The Protocol on Environmental Protection to the Antarctic Treaty was signed October 4, 1991, and entered into force January 14, 1998; this agreement prevents development and provides for the protection of the Antarctic environment through five specific annexes on marine pollution, fauna and flora, environmental impact assessments, waste management, and protected areas. It prohibits all activities relating to mineral resources except scientific. A sixth annex on liability arising from environmental emergencies was adopted in 2005, but is yet to enter into force. The Antarctic Treaty System's yearly Antarctic Treaty Consultative Meetings (ATCM) are the international forum for the administration and management of the region. Only 29 of the 53 parties to the agreements have the right to participate in decision-making at these meetings, though the other 24 are still allowed to attend. The decision-making participants are the Consultative Parties and, in addition to the 12 original signatories, include 17 countries that have demonstrated their interest in Antarctica by carrying out substantial scientific activity there. As of 2015, there are 53 states party to the treaty, 29 of which, including all 12 original signatories to the treaty, have consultative (voting) status. Consultative members include the seven nations that claim portions of Antarctica as national territory. The 46 non-claimant nations either do not recognize the claims of others, or have not stated their positions. Czech Republic No Jan 1, 1993 Apr 1, 2014 Succession from Czechoslovakia, which acceded on June 14, 1962. Germany (claim) (rests since 1945) No Feb 5, 1979 Mar 3, 1981 Ratified as West Germany. East Germany also acceded on November 19, 1974, and received consultative status on October 5, 1987, prior to its reunification with West Germany. Papua New Guinea No Mar 16, 1981 Succession from Australia. Effective from their independence on September 16, 1975. Russia** Dec 1, 1959 Nov 2, 1960 Jun 23, 1961 Ratified as the Soviet Union. Slovakia No January 1, 1993 Succession from Czechoslovakia, which acceded on June 14, 1962. ** Reserved the right to claim areas. The Antarctic Treaty Secretariat was established in Buenos Aires, Argentina in September 2004 by the Antarctic Treaty Consultative Meeting (ATCM). Jan Huber (Netherlands) served as the first Executive Secretary for five years until August 31, 2009. He was succeeded on September 1, 2009, by Manfred Reinke (Germany). Supporting the annual Antarctic Treaty Consultative Meeting (ATCM) and the meeting of the Committee for Environmental Protection (CEP). Facilitating the exchange of information between the Parties required in the Treaty and the Environment Protocol. Collecting, storing, arranging and publishing the documents of the ATCM. Providing and disseminating public information about the Antarctic Treaty system and Antarctic activities. Antarctica currently has no permanent population and therefore it has no citizenship nor government. All personnel present on Antarctica at any time are citizens or nationals of some sovereignty outside Antarctica, as there is no Antarctic sovereignty. The majority of Antarctica is claimed by one or more countries, but most countries do not explicitly recognize those claims. The area on the mainland between 90 degrees west and 150 degrees west is the only major land on Earth not claimed by any country. Until 2015 the interior of the Norwegian Sector, the extent of which had never been officially defined, was considered to be unclaimed. That year, Norway formally laid claim to the area between its Queen Maud Land and the South Pole. Governments that are party to the Antarctic Treaty and its Protocol on Environmental Protection implement the articles of these agreements, and decisions taken under them, through national laws. These laws generally apply only to their own citizens, wherever they are in Antarctica, and serve to enforce the consensus decisions of the consultative parties: about which activities are acceptable, which areas require permits to enter, what processes of environmental impact assessment must precede activities, and so on. The Antarctic Treaty is often considered to represent an example of the common heritage of mankind principle. Since the designation of the Australian Antarctic Territory pre-dated the signing of the Antarctic Treaty, Australian laws that relate to Antarctica date from more than two decades before the Antarctic Treaty era. In terms of criminal law, the laws that apply to the Jervis Bay Territory (which follows the laws of the Australian Capital Territory) apply to the Australian Antarctic Territory. Key Australian legislation applying Antarctic Treaty System decisions include the Antarctic Treaty Act 1960, the Antarctic Treaty (Environment Protection) Act 1980 and the Antarctic Marine Living Resources Conservation Act 1981. The law of the United States, including certain criminal offences by or against U.S. nationals, such as murder, may apply to areas not under jurisdiction of other countries. To this end, the United States now stations special deputy U.S. Marshals in Antarctica to provide a law enforcement presence. Violation of the Antarctic Conservation Act carries penalties of up to US$10,000 in fines and one year in prison. The Departments of the Treasury, Commerce, Transportation, and the Interior share enforcement responsibilities. The Act requires expeditions from the U.S. to Antarctica to notify, in advance, the Office of Oceans and Polar Affairs of the State Department, which reports such plans to other nations as required by the Antarctic Treaty. Further information is provided by the Office of Polar Programs of the National Science Foundation. 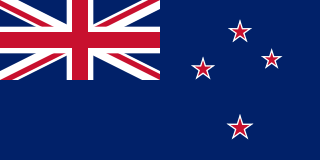 In 2006, the New Zealand police reported that jurisdictional issues prevented them issuing warrants for potential American witnesses who were reluctant to testify during the Christchurch Coroner's investigation into the death by poisoning of Australian astrophysicist Rodney Marks at the South Pole base in May 2000. Dr. Marks died while wintering over at the United States' Amundsen–Scott South Pole Station located at the geographic South Pole. Prior to autopsy, the death was attributed to natural causes by the National Science Foundation and the contractor administering the base. However, an autopsy in New Zealand revealed that Dr. Marks died from methanol poisoning. The New Zealand Police launched an investigation. In 2006, frustrated by lack of progress, the Christchurch Coroner said that it was unlikely that Dr. Marks ingested the methanol knowingly, although there is no certainty that he died as the direct result of the act of another person. During media interviews, the police detective in charge of the investigation criticized the National Science Foundation and contractor Raytheon for failing to co-operate with the investigation. South African law applies to all South African citizens in Antarctica, and they are subject to the jurisdiction of the magistrate's court in Cape Town. In regard to violations of the Antarctic Treaty and related agreements, South Africa also asserts jurisdiction over South African residents and members of expeditions organised in South Africa. 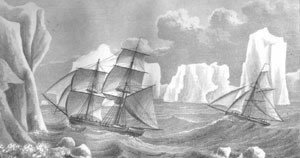 ^ a b "Antarctic Treaty" in The New Encyclopædia Britannica. Chicago: Encyclopædia Britannica Inc., 15th edn., 1992, Vol. 1, p. 439. ^ a b c d e f "The Antarctic Treaty" (PDF). United States Department of State. March 1, 2012. Retrieved March 12, 2014. ^ "ATS - Secretariat of the Antarctic Treaty". www.ats.aq. ^ "Antarctic Treaty". United Nations Office for Disarmament Affairs. United Nations. Retrieved March 28, 2018. ^ "Antarctic Treaty". U.S. Department of State. Retrieved February 13, 2019. ^ "Convention on the Conservation of Antarctic Marine Living Resources - CCAMLR". www.ccamlr.org. ^ "Treaty between the Government of Australia and the Government of the French Republic on cooperation in the maritime areas adjacent to the French Southern and Antarctic Territories (TAAF), Heard Island and the McDonald Islands (Canberra, 24 November 2003) – ATS 6 of 2005”. Australasian Legal Information Institute, Australian Treaties Library. Retrieved on 18 April 2017. ^ "Agreement on Cooperative Enforcement of Fisheries Laws between the Government of Australia and the Government of the French Republic in the Maritime Areas Adjacent to the French Southern and Antarctic Territories, Heard Island and the McDonald Islands (Paris, 8 January 2007) – ATS 1 of 2011”. Australasian Legal Information Institute, Australian Treaties Library. Retrieved on 18 April 2017. ^ "Welcome to the Secretariat of the Antarctic Treaty Website". www.ats.aq. ^ a b c "Secretariat of the Antarctic Treaty: Parties". Retrieved May 23, 2009. ^ "Antarctic Treaty". United Nations Office for Disarmament Affairs. Retrieved March 12, 2014. ^ a b c "The Antarctic Treaty System: Introduction" (PDF). United States Department of State. Retrieved March 12, 2014. ^ "Czech Republic: Succession to Antarctic Treaty". United Nations Office for Disarmament Affairs. Retrieved March 12, 2014. 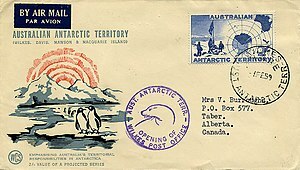 ^ "Germany: Accession to Antarctic Treaty". United Nations Office for Disarmament Affairs. Retrieved March 13, 2014. ^ Johnstone, Rachael Lorna; Jabour, Julia; Tamm, Sune (December 8, 2018). "Iceland's Accession to the Antarctic Treaty". The Yearbook of Polar Law Online. 9 (1): 262–281. doi:10.1163/22116427_009010012. ISSN 2211-6427. ^ "Papua New Guinea: Succession to Antarctic Treaty". United Nations Office for Disarmament Affairs. Retrieved March 13, 2014. ^ "Russia: Ratification to Antarctic Treaty". United Nations Office for Disarmament Affairs. Retrieved March 13, 2014. ^ "Slovakia: Succession to Antarctic Treaty". United Nations Office for Disarmament Affairs. Retrieved March 13, 2014. ^ "Antarctic Treaty System (ATS)". Department of International Relations and Cooperation. Retrieved October 5, 2010. ^ "Dronning Maud Land". Norwegian Polar Institute. Retrieved September 22, 2015. ^ Rapp, Ole Magnus (September 21, 2015). "Norge utvider Dronning Maud Land helt frem til Sydpolen". Aftenposten (in Norwegian). Oslo, Norway: Aftenposten. Retrieved September 22, 2015. …formålet med anneksjonen var å legge under seg det landet som til nå ligger herreløst og som ingen andre enn nordmenn har kartlagt og gransket. Norske myndigheter har derfor ikke motsatt seg at noen tolker det norske kravet slik at det går helt opp til og inkluderer polpunktet. ^ "Australian Antarctic Division – Australian environmental law and guidelines". ^ Hotere, Andrea. "South Pole death file still open". Sunday Star Times, December 17, 2006. Retrieved on December 19, 2006. ^ Deutsche Presse-Agentur. "Death of Australian astrophysicist an Antarctic whodunnit". Monstersandcritics.com, December 14, 2006. Retrieved on December 19, 2006. ^ Chapman, Paul. "New Zealand Probes What May Be First South Pole Murder". The Daily Telegraph, (December 14, 2006), reprinted in The New York Sun (December 19, 2006). Retrieved on December 19, 2006. ^ Booker, Jarrod. "South Pole scientist may have been poisoned". The New Zealand Herald, (December 14, 2006). Retrieved on December 19, 2006. ^ Section 2 of the South African Citizens in Antarctica Act, No. 55 of 1962, as amended by the Environmental Laws Rationalisation Act, No. 51 of 1997. ^ Antarctic Treaties Act, No. 60 of 1996. The Protocol on Environmental Protection to the Antarctic Treaty, also known as the Antarctic-Environmental Protocol, or the Madrid Protocol, is part of the Antarctic Treaty System. It provides for comprehensive protection of the Antarctic environment and dependent and associated ecosystems. 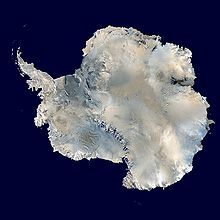 The Ross Dependency is a region of Antarctica defined by a sector originating at the South Pole, passing along longitudes 160° east to 150° west, and terminating at latitude 60° south. It is claimed by New Zealand. Since the Antarctic Treaty came into force in 1961, Article IV of which states: "No acts or activities taking place while the present Treaty is in force shall constitute a basis for asserting, supporting or denying a claim to territorial sovereignty in Antarctica or create any rights of sovereignty in Antarctica," most countries do not recognise territorial claims in Antarctica. A demilitarized zone, DMZ or DZ is an area in which treaties or agreements between nations, military powers or contending groups forbid military installations, activities or personnel. A DMZ often lies along an established frontier or boundary between two or more military powers or alliances. A DMZ may sometimes form a de facto international border, such as the 38th parallel between North and South Korea. Other examples of demilitarized zones are a 120-mile (190 km) wide area between Iraq and Kuwait, Antarctica and outer space. The Outer Space Treaty, formally the Treaty on Principles Governing the Activities of States in the Exploration and Use of Outer Space, including the Moon and Other Celestial Bodies, is a treaty that forms the basis of international space law. The treaty was opened for signature in the United States, the United Kingdom, and the Soviet Union on 27 January 1967, and entered into force on 10 October 1967. As of February 2019, 108 countries are parties to the treaty, while another 23 have signed the treaty but have not completed ratification. In addition, Taiwan, which is currently recognized by 16 UN member states, ratified the treaty prior to the United Nations General Assembly's vote to transfer China's seat to the People's Republic of China (PRC) in 1971. The Outer Space Treaty does not ban military activities within space or the weaponization of space, with the exception of the placement of weapons of mass destruction in space. The Australian Antarctic Territory (AAT) is a part of Antarctica administered by the Australian Antarctic Division, an agency of the federal Department of the Environment and Energy. The territory's history dates to a claim on Enderby Land made by the United Kingdom in 1841, which was subsequently expanded and eventually transferred to Australia in 1933. It is the largest territory of Antarctica claimed by any nation by area. In 1961, the Antarctic Treaty came into force. Article 4 deals with territorial claims, and although it does not renounce or diminish any preexisting claims to sovereignty, it also does not prejudice the position of Contracting Parties in their recognition or non-recognition of territorial sovereignty. 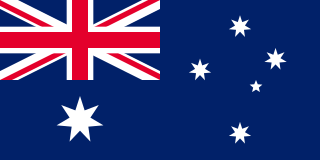 As a result, only four other countries; New Zealand, the United Kingdom, France and Norway recognise Australia's claim to sovereignty in Antarctica. The Svalbard Treaty recognises the sovereignty of Norway over the Arctic archipelago of Svalbard, at the time called Spitsbergen. The exercise of sovereignty is, however, subject to certain stipulations, and not all Norwegian law applies. The treaty regulates the demilitarisation of the archipelago. The signatories were given equal rights to engage in commercial activities on the islands. As of 2012, Norway and Russia are making use of this right. The Manila Accord was signed on 31 July 1963 by the Federation of Malaya, the Republic of Indonesia and the Republic of the Philippines, after a meeting from 7 to 11 June 1963 in Manila.